Returning to work after the delivery of a child can be a difficult yet exciting journey for many mothers. It brings about all kinds of questions like who will take care of my child? Is an at-home daycare or a daycare facility best? What brand of diapers is ideal for my baby? Who will cook meals or clean the house? How can I get a shower in for the day? (Count yourself lucky when you accomplish this one). However, nursing mothers face another interesting dilemma, how can I continue to breastfeed after returning to work? Research shows tha t breastfeeding has proven to have added health benefits for the mother and baby. However, this time between a mother and child can be somewhat challenging at times. So, it is important to be knowledgeable about your privacy rights, nursing options, equipment and available support systems. In its attempt to create a solution for nursing mother returning to the workforce, in 2010, the US government passed The Patient Protection and Affordable Care Act (ACA). The ACA requires employers with 50+ employees to provide a reasonable break time for an employee to express breast milk for her nursing child up to one year after the child’s birth. 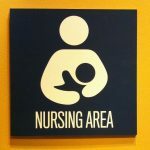 It also stipulates that an area must be provided, other than a bathroom, for the employee to express the breast milk. Additionally, the view into the nursing room should be restricted and have others should not be allowed to access this area. It is important to work closely with your employer to make arrangements that work best for both parties involved. A viable option that has proven to work well for everyone has been portable privacy screens. 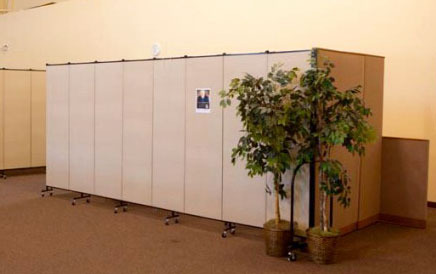 Lactation privacy screens are used whenever and wherever privacy is needed. When the mother is finished nursing, the screen is closed and stored out of the way until needed again. These sound-absorbing partitions are ideal because they can be setup by a single person and moved with ease to accommodate privacy needs in an instant. No permanent construction is required. Begin researching your pump and supply options prior to the delivery of your baby. Explore what types of pump options are best for different settings; work, home, shopping mall, and parties. Be sure to contact your insurer as each plan has different coverage. Do I need to get a pre-approval for a pump rental? Am I required to have a doctor’s note for a hospital grade rental pump? Do I need to pick up the pump from a certain facility? (in-network vs. out-of-network)? How long can I rent a pump for? The La Leche League has been around since it’s humble beginnings at the home of Mary White in 1956. Its mission is to help mothers who are breastfeeding through personal contact, encouragement, information, and education to better understand breastfeeding and its benefits. International Lactation Consultant Association (ILCA) assisted mothers worldwide on proper lactation care. Nursing Mothers Advisory Council is a non-profit, volunteer organization serving areas of Bucks, Montgomery and Philadelphia counties in Pennsylvania. Australian Breastfeeding Association assists mothers with breastfeeding, returning to the workplace and assist employers to provide nursing space solutions. The Association of Breastfeeding Mothers (UK)-provides counseling, support groups, and a hotline. Contact your local hospitals for additional lactation services. Are there approved lactation consultant providers in my area (in-network or out-of-network)? How many months or meetings are covered under my plan? Can I receive in-home consultations vs. going to an office? What is the coverage for an out-of-network provider? While the transition back to work for nursing mothers comes with added challenges, it has proven to be successful when you educate yourself on your rights and your options.